61 The slave of idols is a willing slave. For willing he must be to let himself bow down in worship to what has no life and seek for power in the powerless. What happened to the holy Son of God that this could be his wish—to let himself fall lower than the stones upon the ground and look to idols that they raise him up? Hear then your story in the dream you made, and ask yourself if it be not the truth that you believe that it is not a dream. A dream of judgment came into the mind that God created perfect as Himself. And in that dream was Heaven changed to hell, and God made enemy unto His Son. 62 How can God's Son awaken from the dream? It is a dream of judgment. So must he judge not, and he will waken. For the dream will seem to last while he is part of it. Judge not, for he who judges will have need of idols which will hold the judgment off from resting on himself. Nor can he know the Self he has condemned. Judge not, because you make yourself a part of evil dreams where idols are your "true" identity and your salvation from the judgment laid in terror and in guilt upon yourself. 63 All figures in the dream are idols made to save you from the dream. Yet they are part of what they have been made to save you from . Thus does an idol keep the dream alive and terrible, for who could wish for one unless he were in terror and despair? And this the idol represents, and so its worship is the worship of despair and terror and the dream from which they come. Judgment is an injustice to God's Son, and it is justice that who judges him will not escape the penalty he laid upon himself within the dream he made. God knows of justice, not of penalty. But in the dream of judgment, you attack and are condemned and wish to be the slave of idols which are interposed between your judgment and the penalty it brings. 64 There can be no salvation in the dream as you are dreaming it. For idols must be part of it to save you from what you believe you have accomplished and have done to make you sinful and put out the light within you. Little children, it is there. You do but dream, and idols are the toys you dream you play with. Who has need of toys but children? They pretend they rule the world and give their toys the power to move about and talk and think and feel and speak for them . Yet everything their toys appear to do is in the minds of those who play with them. But they are eager to forget that they made up the dream in which their toys are real, nor recognize their wishes are their own. 65 Nightmares are childish dreams. The toys have turned against the child who thought he made them real. Yet can a dream attack? Or can a toy grow large and dangerous and fierce and wild? This does the child believe because he fears his thoughts and gives them to the toys instead. And their reality becomes his own because they seem to save him from his thoughts. Yet do they keep his thoughts alive and real but seen outside himself, where they can turn against him for his treachery to them. He thinks he needs them that he may escape his thoughts, because he thinks the thoughts are real. And so he makes of anything a toy to make his world remain outside himself, and play that he is but a part of it. 66 There is a time when childhood should be passed and gone forever. Seek not to retain the toys of children. Put them all away, for you have need of them no more. The dream of judgment is a children's game in which the child becomes the father, powerful, but with the little wisdom of a child. What hurts him is destroyed; what helps him, blessed. Except he judges this as does a child, who does not know what hurts and what will heal. And bad things seem to happen, and he is afraid of all the chaos in a world he thinks is governed by the laws he made. Yet is the real world unaffected by the world he thinks is real. Nor have its laws been changed because he did not understand. 67 The real world still is but a dream. Except the figures have been changed. They are not seen as idols which betray. It is a dream in which no one is used to substitute for something else nor interposed between the thoughts the mind conceives and what it sees. No one is used for something he is not, for childish things have all been put away. And what was once a dream of judgment now has changed into a dream where all is joy because that is the purpose which it has. Only forgiving dreams can enter here, for time is almost over. And the forms which enter in the dream are now perceived as brothers, not in judgment but in love. 68 Forgiving dreams have little need to last. They are not made to separate the mind from what it thinks. They do not seek to prove the dream is being dreamed by someone else. And in these dreams a melody is heard which everyone remembers, though he has not heard it since before all time began. Forgiveness, once complete, brings timelessness so close the song of Heaven can be heard, not with the ears, but with the holiness which never left the altar which abides forever deep within the Son of God. And when he hears this song again, he knows he never heard it not. And where is time, when dreams of judgment have been put away? 69 Whenever you feel fear in any form—and you are fearful if you do not feel a deep content, a certainty of help, a calm assurance Heaven goes with you—be sure you made an idol and believe it will betray you. For beneath your hope that it will save you lie the guilt and pain of self-betrayal and uncertainty, so deep and bitter that the dream cannot conceal completely all your sense of doom. Your self-betrayal must result in fear, for fear is judgment, leading surely to the frantic search for idols and for death. 70 Forgiving dreams remind you that you live in safety and have not attacked yourself. So do your childish terrors melt away and dreams become a sign that you have made a new beginning, not another try to worship idols and to keep attack. Forgiving dreams are kind to everyone who figures in the dream. And so they bring the dreamer full release from dreams of fear. He does not fear his judgment, for he has judged no one, nor has sought to be released through judgment from what judgment must impose. And all the while he is remembering what he forgot when judgment seemed to be the way to save him from its penalty. 1 Perception follows judgment. Having judged, you therefore see what you would look upon. For sight can merely serve to offer you what you would have. It is impossible to overlook what you would see and fail to see what you have chosen to behold. How surely, therefore, must the real world come to greet the holy sight of anyone who takes the Holy Spirit's purpose as his goal for seeing. And he cannot fail to look upon what Christ would have him see and share Christ's love for what he looks upon. 2 I have no purpose for today except to look upon a liberated world, set free from all the judgments I have made. Father, this is Your Will for me today, and therefore it must be my goal as well. 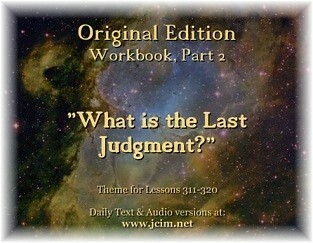 This Lesson is read in the context of "What is the Last Judgment?" (W.PII.Q10) The Course could be summarized in the words, "What is false is false, and what is true has never changed. " (W.PII.Q10.1.1) The problem is, we have taught ourselves to believe that the false is, indeed, true. We believe that the body, sin, guilt, fear, and the world of time and space are real and true. We believe that it all ends with death and that death is real and final. We believe that the issues and problems in our lives and the problems of the world all have reality, and we take them very seriously. When we come to realize that the false as false, we can relax, surrender our perspectives, and allow the truth to reveal itself to us. Jesus teaches the same thing over and over. It is that nothing real can be threatened (our eternal reality) and nothing unreal exists (everything of this body, personality, and the world we see). What is real is our eternal Self. This Self is and always has been present, yet it is hidden by our thoughts and our misguided judgments and perceptions. The same Self or awareness has been present at every stage of our lives and has never changed. What is temptation? Temptation is anything in our lives that seems to compel us to worry, be sad, fret, get upset, attack, doubt, become depressed, frustrated, seek pleasure, or any number of invitations to leave the kingdom of divine peace. In other words, temptation is anything that keeps us invested in the things of this world. We can only experience distress when we have judged a situation, or event in our lives, as something we want or don't want or as something that should happen or should not happen in our purview. We have judged some things as good and other things as bad, all based on our beliefs. What we see in the world reflects what we hold in the mind. If someone yells at me, I may judge him as unkind, and now I see him as separate from me and threatening my peace and well-being. When I respond to this kind of situation with love and see that nothing that happens affects me in any way, I experience true perception. In other words, I experience only love and peace regardless of what is going on around me. In the meantime, our experience provides us with many opportunities to forgive by releasing the judgments we hold in our own minds, which always project our own self-attacks onto others and onto the events of the world. As we take responsibility for our misperceptions and turn them over to the Holy Spirit, asking for His interpretation of every situation, our minds are healed. We may wonder, what if we give love and offer forgiveness and it seems not to be received? 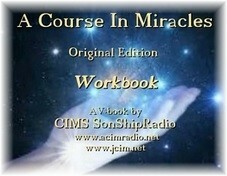 Lesson 197 reminds us, "It does not matter if another thinks your gifts unworthy. 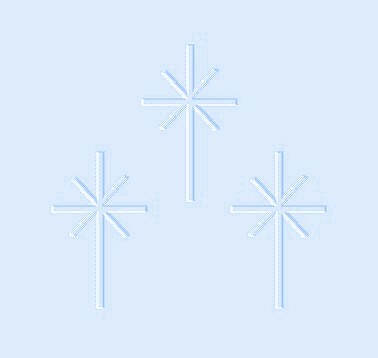 In his mind there is a part that joins with yours in thanking you." (W.197.4.1-2) I know in my own life that there have been many occasions when I felt I had released my judgments of someone or some situation, but I did not see any evidence that anything had changed in the relationship. Yet we are asked to trust that the blessing was received. Certainly, it is received by our own minds the instant it is given. I have experienced where, after some period of time, something will show up that demonstrates that there has been a miraculous change in the relationship. For example, in one situation, I got an email asking for my forgiveness after two years of no direct communication. His email to me was an affirmation for me that the love is always received, and I need not concern myself with the outcome. 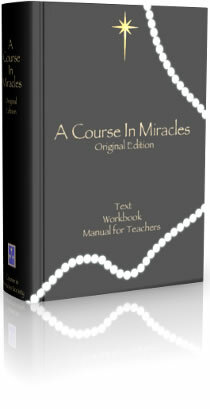 Jesus tells us in the Manual for Teachers that when we give the gift, the outcome is assured. To worry whether it has been received is simply to stay with our self-attacking thoughts instead of allowing freedom for ourselves and our brothers. Our judgments and condemning thoughts all interfere with our spiritual aspirations for healing and enlightenment. We need not judge ourselves when we do make judgments; although, judging ourselves is the same error as judging our brothers. Simply watching our thoughts without judgment, and being willing to be wrong about our perceptions, is what we are called to do. "The world will end in joy, because it is a place of sorrow. When joy has come, the purpose of the world has gone. The world will end in peace, because it is a place of war. When peace has come, what is the purpose of the world? The world will end in laughter, because it is a place of tears. Where there is laughter, who can longer weep." (Manual for Teachers.14.5.1-6) The trials and tribulations of our lives provide us with perfect opportunities for undoing our misperceptions. It is the only purpose there is in this world. The only purpose for our seeming problems and fantasies of what we think we need for our happiness is to learn that nothing happens without our consent. Now we have a choice in how we see it. "Is this what I would have, in place of Heaven and the peace of God" ? 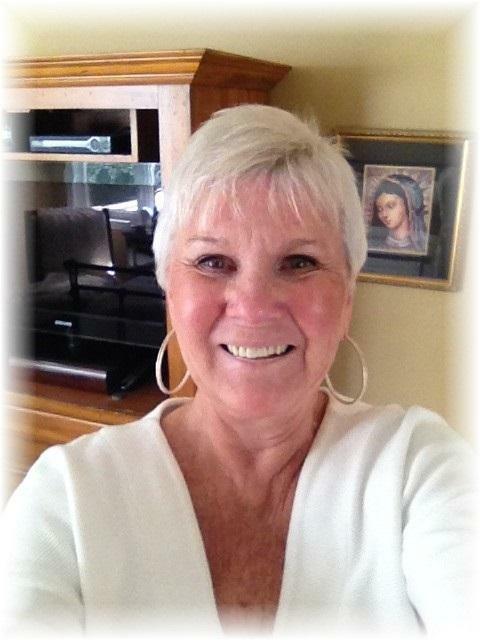 (W.185.8.8) (ACIM OE W.185.9) If we want to see differently, we must let the Holy Spirit judge for us. Everything we see is just a projection of our own minds, looking back at us. The world is a mirror of what we are holding in our minds. With changed thoughts, we see a changed world. It is wonderful to know that we have this kind of power in us to heal what keeps us in despair. We are not victims of the world we see. If we truly want to see a world of love, innocence, and peace, all that is required is a willingness to surrender our investment in being right. When our judgments are released, everyone is blessed through us. Jesus assures us, we cannot fail. "And he cannot fail to look upon what Christ would have him see, and share Christ's Love for what he looks upon." (W.312.1.6) With determination, purpose, intention, desire, and practice, we are helped to see beyond the error so we can see the people, events, and situations in our lives as innocent, holy, and washed in love. We can thus ultimately know the real world through our willingness to bring all our judgments to the light of truth, without judging ourselves in the process. We are called to question, with total self-honesty, everything that we value, believe, and perceive. This is how the beliefs we hold now begin to lose their power over us, and we make room for His Voice to guide our perceptions.